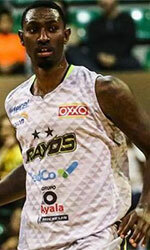 Al Nasr Riyadh (SBL) signed 26-year old Canadian ex-international guard Myck Kabongo (191-82kg-92, college: Texas). He is a dual citizen owning also DR Congolese passport. Kabongo started the season at Raptors 905 Missisauga (NBA G League) in the U.S. In 32 games he had 5.0ppg, 1.4rpg and 1.9apg this season. He ended the last season at Zornotza (EBA) in Spanish league where in 7 games he recorded very impressive stats: 15.1ppg, 5.0rpg and 5.3apg. But the most of that year Kabongo spent at STB Le Havre (ProB) in French league. In 8 games he averaged 4.4ppg, 2.1rpg and 1.5apg. In 2015 (two years after he left the college) Kabongo was drafted by Delaware 87ers (D-League) in second round (24th overall). 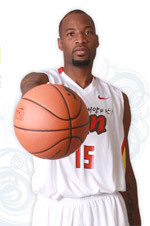 The former University of Texas standoutis in his sixth season in pro basketball. The list of the past achievements is quite long as among others he was voted Afrobasket.com All-Afrobasket Championships 2nd Team in 2017. Kabongo was also a member of Canadian international program for some years. He played for Canadian Senior National Team back in 2009 and previously for U18 National Team in 2010. Kabongo represented Canada at the Afrobasket Championships two years ago. His stats at that event were 4 games: 14.5ppg, 5.8rpg, Assists-2 (4.8apg), Steals-3 (2.8spg), FGP: 43.3%, 3PT: 40.0%, FT: 63.6%. Kabongo is quite experienced player. He has played in four different countries on three different continents (Europe, Latin America and of course North America). Kabongo has played previously professionally in Mexico (Rayos de Hermosillo), Romania (Pitesti), Sweden (Sodertalje Kings) and NBA G League (Texas Legends, Fort Wayne Mad Ants and Erie Bay Hawks).